Senior citizens who exercise regularly maintain better physical and mental health. The aging process reflects the long term effects of gravity, time and our lifestyle behaviors. Comedian George Burns used to say “If I knew I was going to live this long I would have taken better care of myself!” Though we all may not make it to 100 years of age exercise can improve quality of life as we age, and it is never too late to start. The American Heart Association recommends seniors exercise three to five times a week for thirty minutes incorporating resistance training, stretching, balance, and aerobics. If this seems like too much than begin slowly with five or ten minute brisk walks throughout the day. 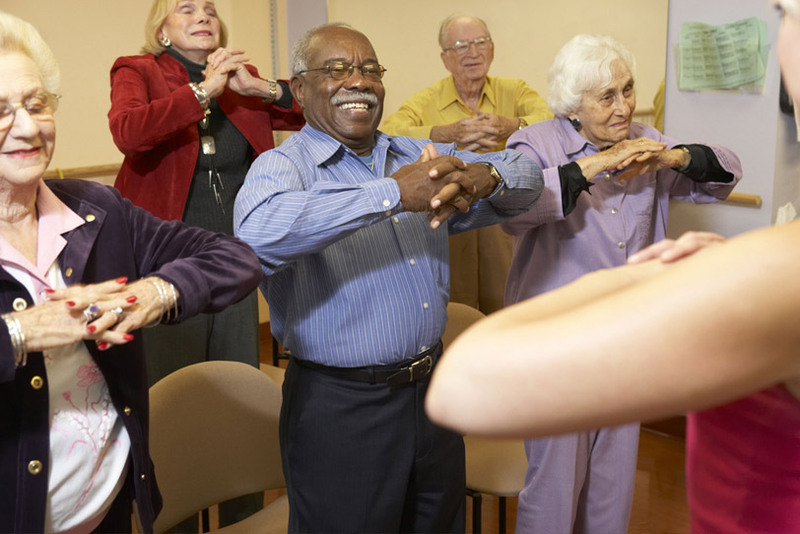 Our commitment to our residents’ physical and emotional well-being at Hollander Senior Living includes a variety of daily exercise classes, senior yoga classes for increased flexibility and muscle strength as well as balance training for fall prevention. The bottom line is there are many ways to be active every day, so find something you enjoy doing and keep up the hard work!